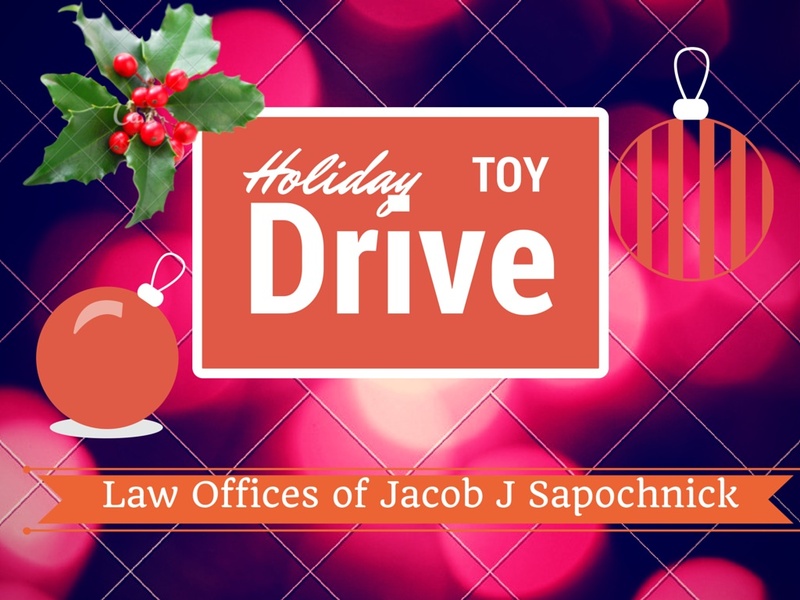 The Law Offices of Jacob J Sapochnick is currently hosting a toy drive for children in need this holiday season. The toy drive will benefit an orphanage in Tijuana. If you are interested in contributing, please bring your unused toys to our law office at 1502 Sixth Avenue San Diego CA 92101 by Thursday, December 18th. We thank you for your support, Happy Holidays!